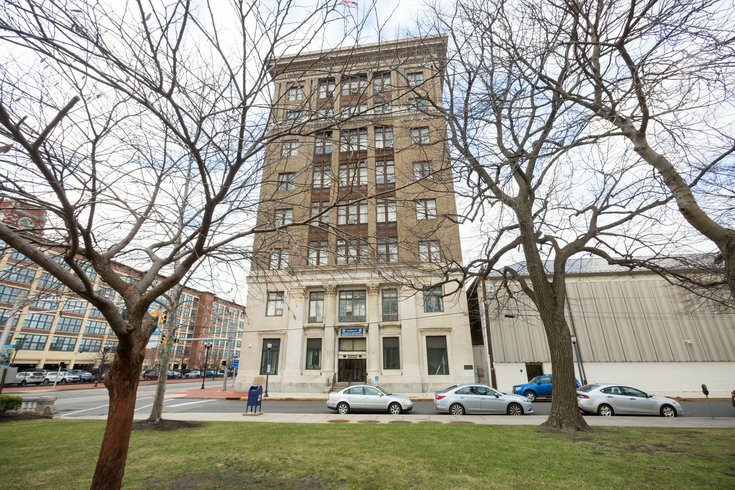 The Camden Board of Education Administration Building, the former executive offices of RCA Victor, is on the market with a $6.7 million minimum bid. More than half of New Jersey’s public school districts have shrunk in the past six years, according to a report by the data-driven news site, Route 40. Looking at public schools data from the 2010-11 school year to present, Camden was just three from the bottom in loss of students by percentage, a measure which usually magnifies drops in smaller districts. The percentage drop in Camden city schools is an astounding 36 percent. The district also had the largest loss of students by number: 4,911 students during the same time period. Local critics of the state-run district have said policies favoring charter schools are responsible for the declines. “Looking across all types of publicly-funded schools – district schools, charter schools and renaissance schools – student enrollment has actually increased in Camden since 2010," said Maita Soukup, communications manager for the Camden district. "Rather than focusing on district vs. charter, our mission is to make sure every Camden student can attend a high-quality, publicly-funded school,"
"...Student access to high-quality schools [is] something that has not been available to Camden families for far too long,” she added. Camden is the only larger urban school district among the big population decliners in New Jersey. Trenton, for instance, is up more than 25 percent. Paterson more than 25 percent. Elizabeth is up by more than 16 percent. All of those cities have a large number of charter schools. On the other hand, nearby Camden County school districts in Haddonfield and Lindenwold are up in population by double digits. Both are on the PATCO line, making a commute to Philadelphia simple. Lindenwold, considered an affordable stepping stone for those leaving Camden, has a student population increase of more than 22 percent. Pricey Haddonfield is up more than 10 percent. And Merchantville, while not on PATCO's rail line, has seen its student population grow by more than 22 percent. The district recently began sending high school students to Haddon Heights, and it now has a student population up by more than 22 percent. On the other hand, Cherry Hill’s student population is off about 2 percent. Pennsauken, where Merchantville students had attended high school until two years ago, is down by more than 11 percent. Gloucester Township has dropped more than 12 percent. Many outer ring suburbs, in Burlington County, but convenient to Philadelphia, have also seen large declines: a nearly 18 percent drop in Tabernacle, more than 19 percent in Lumberton, more than 15 percent in Shamong, more than 11 percent in Southampton, and more than 9 percent in Moorestown. To read the full Route Forty report and use an interactive map, click here.